A more current post about Granite Park Chalet can be found here. 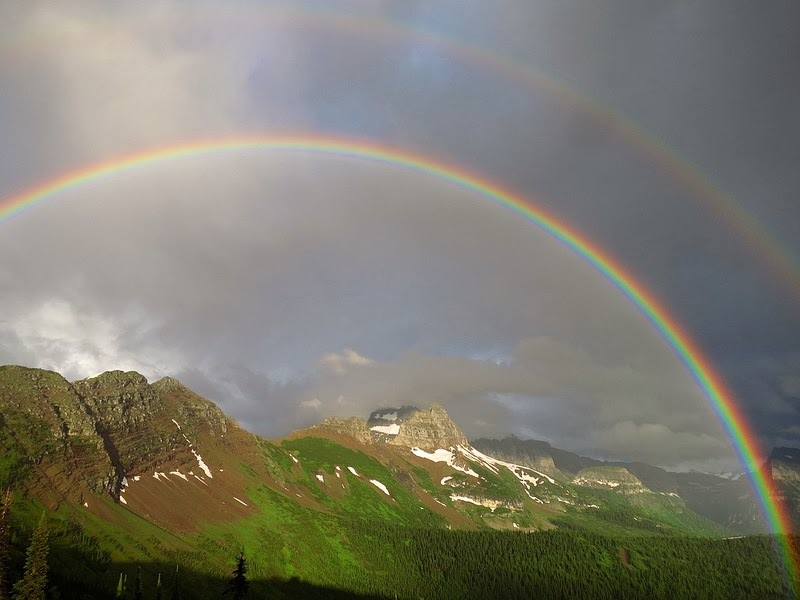 Alright, I’ll be honest, I have a lot of favorites when it comes to Glacier National Park. I can’t help it. Different places, people, weather, and situations have made many fond memories for me over the years. However, when people ask me what the “must-see” places are in Glacier, the backcountry chalets are consistently in my top 3. I could talk for hours about why I love them (but don’t worry, I won’t). 1. Location. Location. Location. Oh where do I begin (or end)? These chalets sit amongst mountains, forests, stars, animals, sky, and breathtaking scenery. Simply put, it’s phenomenal. 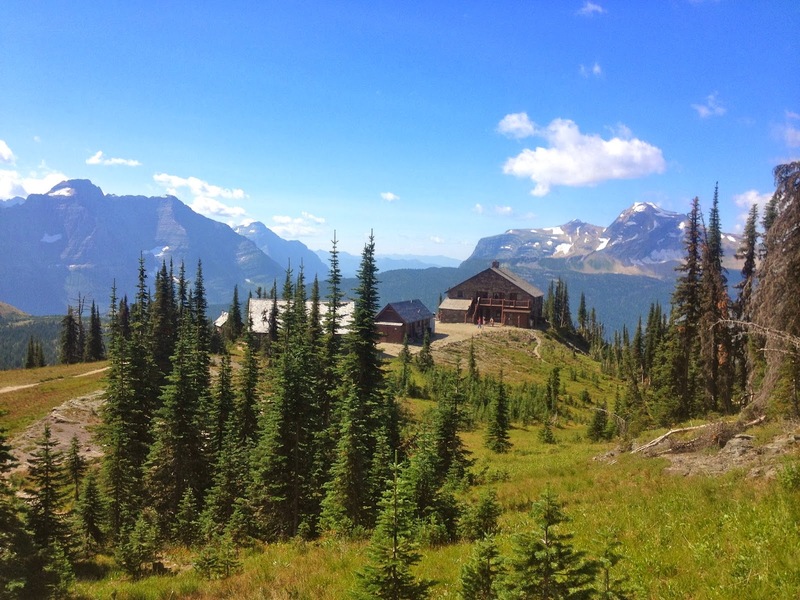 Granite Park Chalet is one of Glacier’s “must-sees”. 2. The Food. How wonderful is it to hike all day and have someone take care of all the food? Sperry is full service. 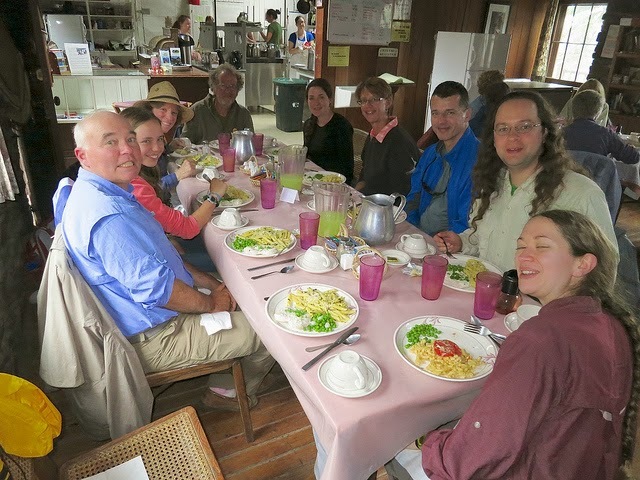 If you go on a Glacier Guides trip, meals are included at Granite as well. Hearty home cooked meals are never lacking (it’s a good thing you have to hike to get there). Family style dinner at Sperry. Photo by Jeff Compton. 3. No cars. One road is all there is, and the closest it comes to the chalets is 4 miles from Granite and almost 7 from Sperry. Enough said. 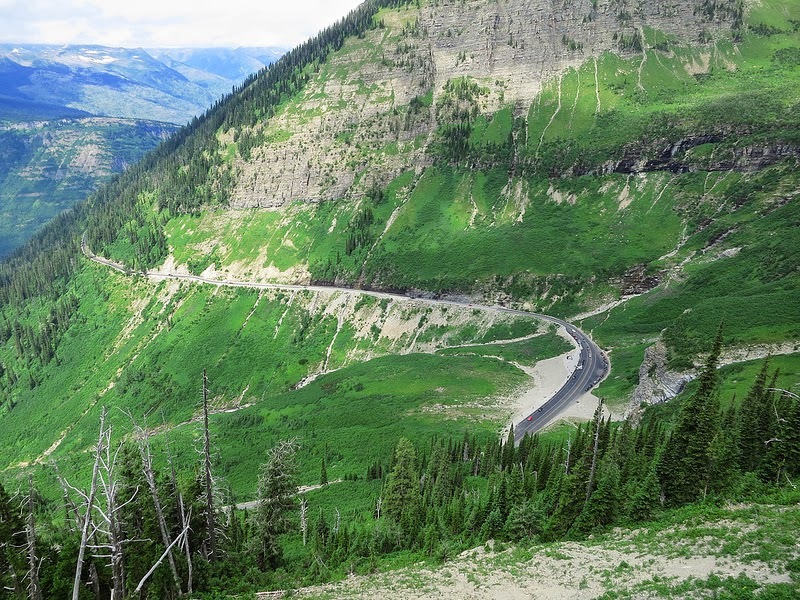 The Going-to-the-Sun Road sits far below and out of sight of Granite and Sperry. 4. Flora. Once you hike the highline trail, you’ll never wonder why that area is referred to as the Garden Wall again. 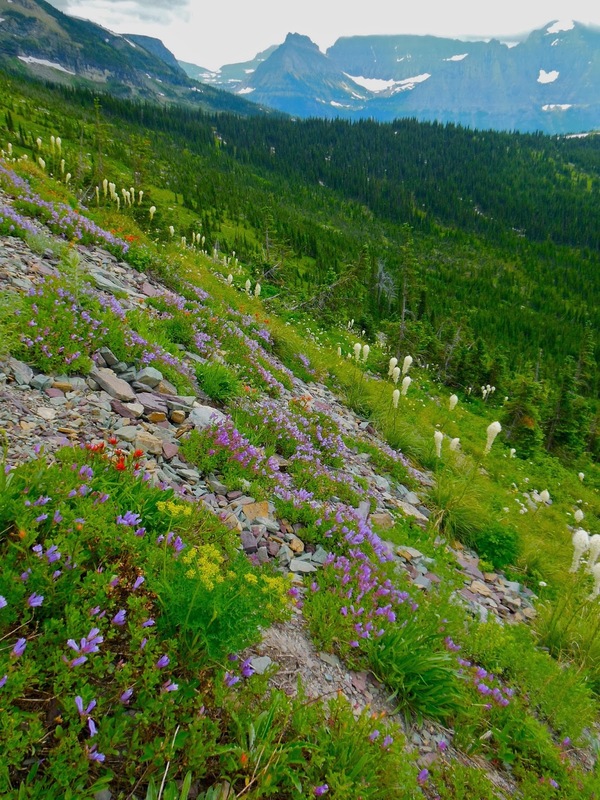 From glacier lilies poking up out of the snow, bear grass and huckleberries, to rare carnivorous butterworts, this area is teeming with plants. Botanists and photographers might want to give themselves some extra time to hike in. Oh and hey, the plants going into Sperry are beautiful too. The gardener here does an amazing job! 5. History. See America first. These chalets were originally built by the Great Northern Railway as a marketing plan to get more ridership. You used to be able to take weeks and travel from chalet to chalet by horse. Now we are lucky to have the two that are left (the rest were destroyed for lack of interest/money for upkeep). Sperry and Granite Park were shut down a couple of decades ago due to water issues, but they have since reopened to the public thanks to some passion (and money) from many folks. Granite was built in 1914. 6. The weather. I’m not going to lie, the weather in these locations can be pretty crazy. Sure sunny days are nice (and do happen quite often in the summer), but sometimes they can be a little …ordinary. The most memorable days are the ones that are not standard for our everyday lives. Depending on your job of course, we tend to be sheltered from weather on a day to day basis. 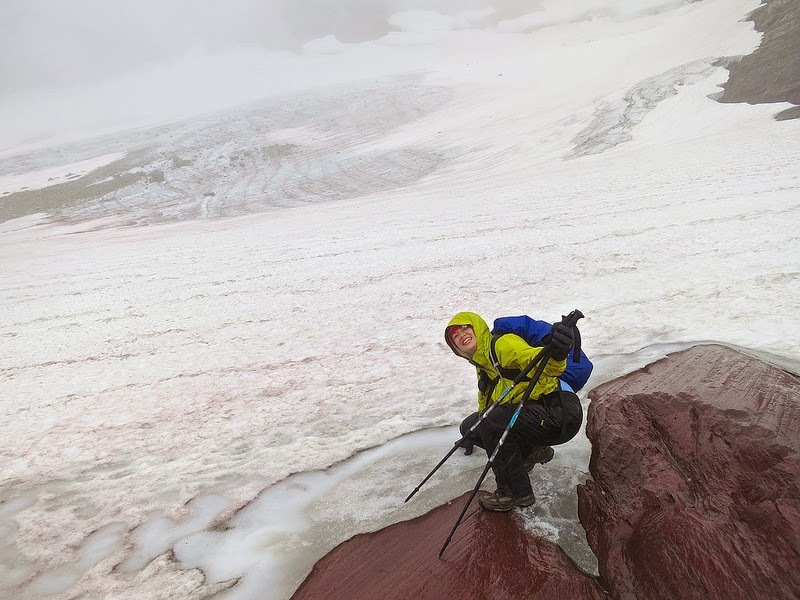 The weather that is customary in the mountains is predictably unpredictable and allow people to really experience Glacier. The good thing about rain. Photo by Jeff Compton. See hailstorm video (by Jeff Compton). 7. The people. It’s fun to know that every single person that comes through that door has walked there. Something that you have in common that instantly gives you a connection to everyone else. There are so many different types of people with such interesting backgrounds. I love asking people why they’ve chosen the chalets. The answers vary in so many different ways…family, friends, recommendations, nostalgia, and love. I never lack of good conversations there. Hanging out at Sperry. Photo by Jeff Compton. 8. Animals. If your patient and you are paying attention, there are tons of animals out there. Over the years of hiking in and out of the chalets I’ve seen marmots, pika, ground squirrels, mountain goats, big horn sheep, moose, golden eagles, wolves, black bear, grizzly bear and even wolverine. Sure, some animals are way more likely to be seen than others…but they’re all out there. Mountain goats are a common site in the alpine areas. 9. The sky. I know, I know, Montana is referred to as “big sky country.” You hear it a million times if you live here. But hey, it’s no joke. Wake up to the mountains on fire with morning light. Make it your evening entertainment to look at skies not even the best artist can truly emulate. Then end your day with a sky filled with stars beyond stars (beyond stars). And if your really lucky, you may even be graced with a sighting of the northern lights. The sky here is big and beautiful, and has so many moods. I can’t even count how many pictures I have of the sunset from Granite Park Chalet. Thank goodness for digital cameras, because just when you think that the sky is as beautiful as it’s going to get…just wait…you’ll snap 10 more pictures. A prize for the early risers. Conversations over a Granite sunset are the best. 10. Glaciers. Yeah, you’ve probably read about climate change, and whether or not you believe it’s real, the glaciers here are getting smaller. 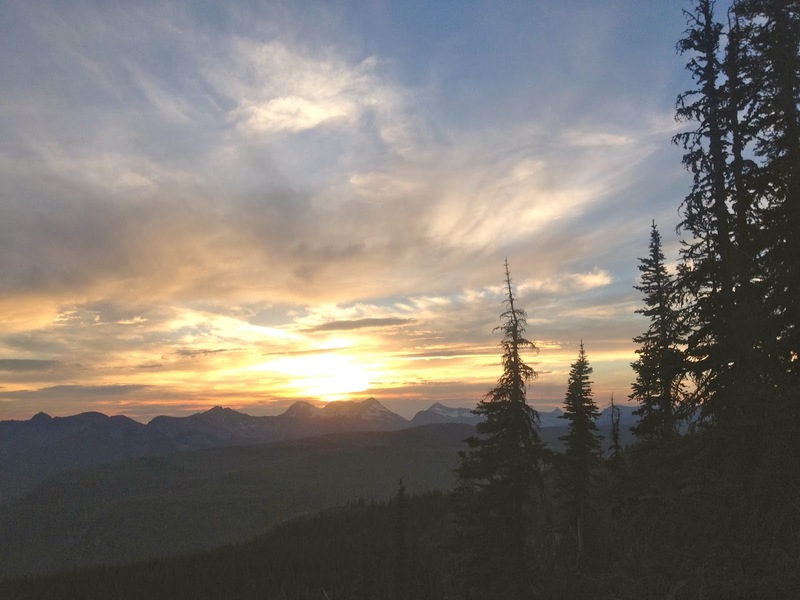 Scientists predict that all the glaciers in Glacier National Park will be gone as early as the year 2020. It seems unreal to see that kind of change in my lifetime, but for now you can still see several glaciers within hiking distance from these chalets. Sperry glacier, just a 2 mile hike from the chalet, is one you can actually go and touch. Grinnell Glacier Overlook, a short hike from Granite. Touching Sperry Glacier! Photo by Jeff Compton. There it is. My top 10. And if I had to add an 11th, it would be beds because as my friend Greg likes to say, “sometimes you just don’t want to sleep in a tent” (plus you don’t have to carry your bedding on your back). 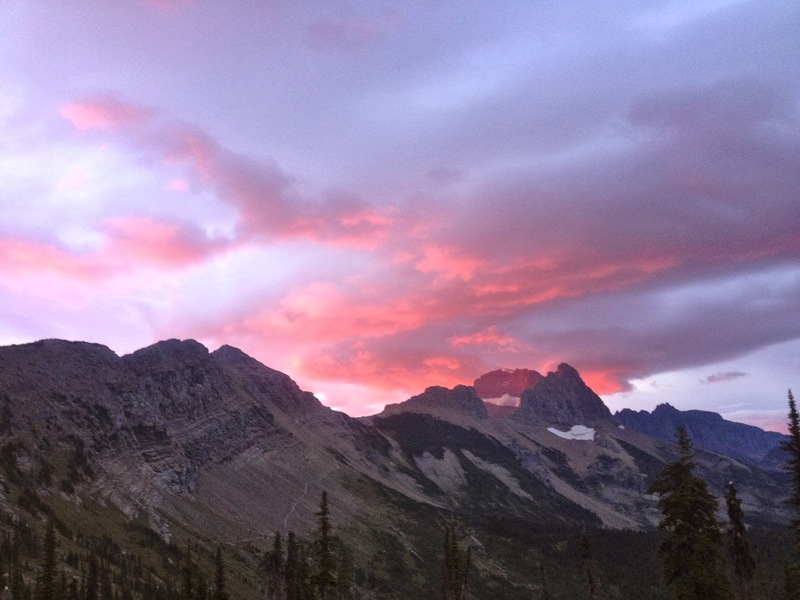 Glacier Guides and Montana Raft Company offers 3 and 6 day trips to Granite and Sperry Chalets. This is a great way to see the chalets. 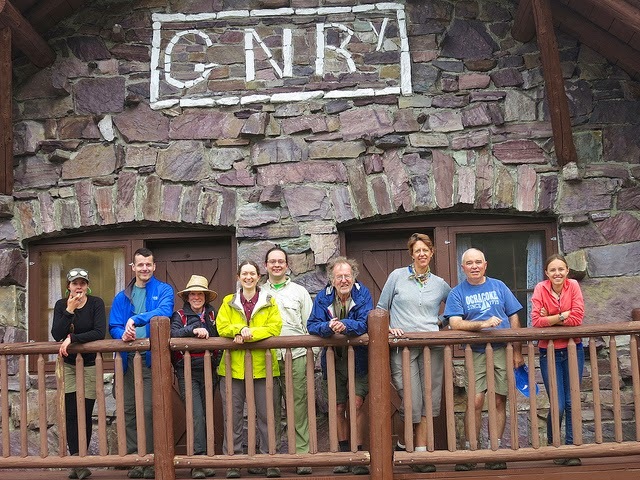 Our knowledgeable and experienced guides are there to educate guests on flora, fauna, glaciers, history, etc…and to cook delicious meals at Granite. Plus everything is taken care of (route, food, reservations, and transportation). New 2014 season dates are now in and reservations are being taken. These trips fill up fast, so start getting your ducks in a row if you are interested in joining a group.